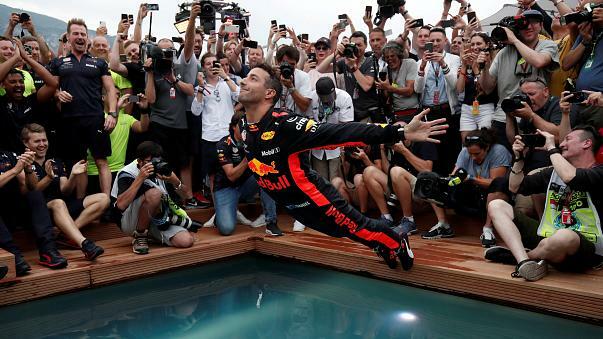 While Danny Ricciardo cooled off after his 78 hot laps around the Monaco street circuit by jumping into the pool at the post-race celebrations, the Red Bull management revealed just how close the whole thing was to disaster. When Ricciardo reported he was losing power, the telemetry from the car explained what was happening. The system which recovers energy from the rear brakes, and then provides extra horsepower down the straights had failed. The MGU-K unit had not only failed, but team boss Christian Horner was told that the unit could explode into the engine itself, distributing shrapnel into the cylinders, and Danny’s car would grind to a halt. 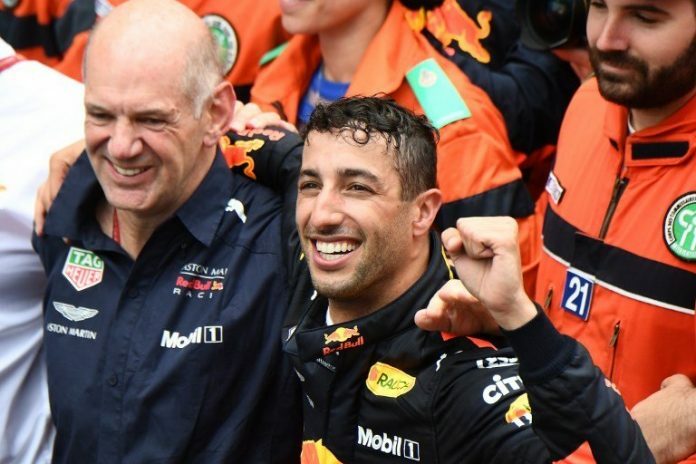 Every lap Ricciardo completed could be his last, but his pace was so hot the team was prepared to take the risk, hoping Danny could ‘manage’ the problem until the finish line was in sight. 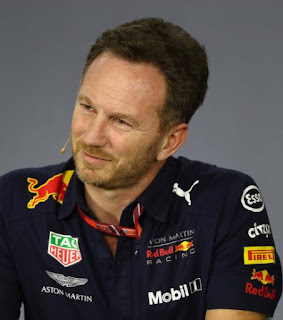 Christian Horner (right) told the media, in the post-race interviews: "Our reliability engineers were looking at saving the engine's components to avoid penalties at future races, so it was like, 'OK, we are likely to ingest a whole bunch of shrapnel from the MGU-K, so we should stop the engine?' But I said no, let's keep running and if it stops, it stops. We are leading the Monaco Grand Prix. I discussed it with Adrian Newey, Red Bull's chief technical officer, and he was in total agreement that we go until it smokes." The loss of power meant that Ricciardo was restricted to six of the eight gears in the transmission, but as Monaco doesn’t feature long straights, the top two gears weren’t really missed, and Horner paid tribute to his driver after the race, saying: "He could have been in Apollo 13, I tell you, with the way he was dealing with the issues today," Horner said. "It was an incredible performance from him and just extremely mature." 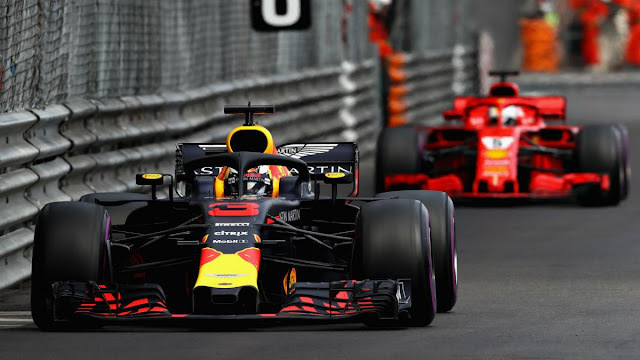 Because of the MGU-K failure, this altered the Red Bull’s braking performance, and Ricciardo had to rebalance the braking effort, winding off 7% from the rear brakes to the front, to stop the rears from overheating and exploding. Under normal race conditions, as the fuel load lightens, drivers may wind back brake balance in steps of 1%, so winding off the rear brakes by 7%, and still coping with heavy braking situations required Ricciardo to make dozens of split second decisions every lap. It was a mighty effort, especially with Vettel’s Ferrari right on his tail, ready to pounce if he stopped, or even slowed. Following these disclosures everyone agrees, Danny Ricciardo really won the race against all odds. Agree, an incredible performance from Daniel . . . . great timing too with other teams considering him for next year!